2018 promises to be yet another exciting year in consumer electronics. From surprisingly impressive Android phones to everything for the smart home, we can expect important advances in every industry where consumer electronics play a role. Of course, these days that’s just about every industry there is, as technology continues to forge a path into every area of our lives. Here’s what’s in store for 2018. Google held its annual hardware show in October and the announcements created quite a stir among tech reviewers, who seem truly excited for 2018. Their developments range from better Android phones (a Google mainstay) to the second-generation futuristic Daydream View. Exciting consumer electronics from Google isn’t exactly breaking news, but the overall trend toward usability is. Google’s CEO opened the show with sentiments along those lines, saying that people don’t want to be impressed by technology… they just want it to work for them. So that’s what Google is doing with its new lineup of consumer electronics. They’re very user-friendly and while they’re not exactly cheap, gadgets from Google are relatively affordable (yes, I’m looking at you, Apple). Take the newest of their Android tablets, for example, Pixelbook. Technically a Chromebook, it’s the first laptop they’ve come out with that has Google Assistant baked right in. According to Wired, the new Pixelbook is Google’s first serious attempt to take over the market. 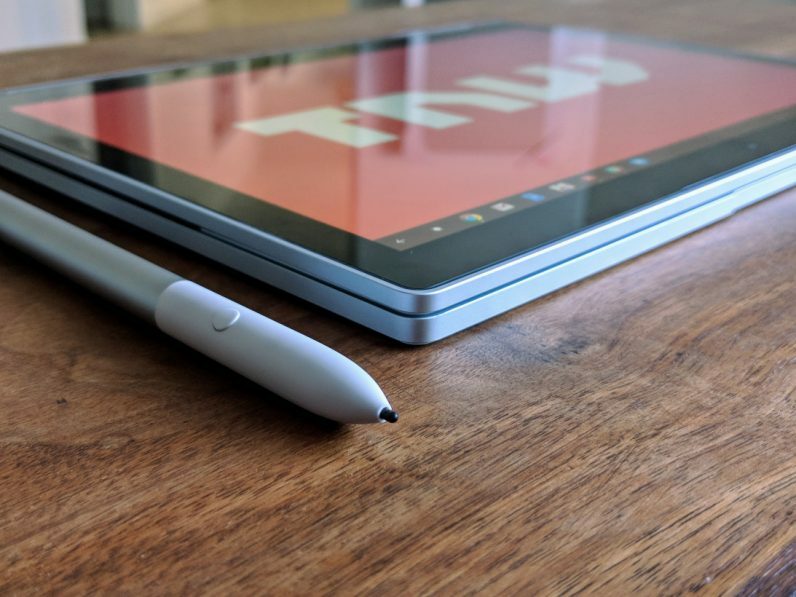 It weighs only two pounds, rotates 360 degrees for use as a tablet or laptop, and packs hefty software as well as apps into the whole package. 2017 marked the ten-year anniversary of the iPhone but lackluster reviews of iPhone 8 and iPhone 8 Plus have truly disappointed a lot of consumers. That’s bad news for Apple, especially in the current environment where they’re already falling behind: people are simply more in love with Android phones (84.82 percent market share, globally) than they are with iPhones. And with its $1000 (USD) price tag, 2018’s iPhone X may not stand a chance. Of course, Android needs more than a poor performance from iPhone to dominate this crucial market. So, just how well is Android serving mobile consumers these days? iOS’ market share is shrinking. Since 2012, the iOS market share decreased from 16.6 percent to 12.9 percent this year. Meanwhile, Android’s market share is growing. In the same time period (2012-2017), Android’s market share has grown from 69.3 percent to 86.2 percent. Developers love Android. A 2017 Stack Overflow survey revealed that more developers wanted to work with Android than any other platform. Even iPhone users are warming up to Android phones. A 2016 survey hinted that upwards of half (45 percent) of iPhone users believed that Android phones were more advanced. Apple is still popular in wealthier countries like the U.S., but Android dominates even there. As of June 2017, over half of U.S. smartphone customers use an Android device. Android phones are adding Apple-like features for 2018. To reach parity with iPhones, Android phone developers are adding features like wireless charging and have already begun selling water-resistant Android phones. Android apps are just going to get better and better. Android 8.1 promises steady growth of fantastic AI-enabled apps. Electronic trends of the past decade have focused heavily on the ever-popular smart TV sector. But as homes become more fully integrated thanks to smart systems (see next section), the smart TV will simply be yet another connected device among many in the home. Simply put: smart TVs are nothing new… just more electronic gadgets for the home. If there are any true hardware trends, they will be in what’s called the ‘dangling dongle’, those ultra-small streaming devices that replace the huge set-top boxes that are slowly becoming yesterday’s news. The best are powered by Android TV, of course, Google’s universally-loved language interface for the smart TV industry. From Roku Express to Chromecast Ultra to Fire TV and other devices, the trend to watch out for is the growing presence of dongles that interact via voice control with the home’s AI system. Experts say that the AI home system brain that does the job best is Alexa, so watch for Fire TV to take a lead in this race. These three AI helpers are the brains that power smart home systems that run our thermostats, manage our security, and launch our mornings with fresh coffee and a roundup of the day’s schedule. What’s new for 2018, however, is that Google has become very serious about dominating the smart home industry. Assistant is gaining traction on more third-party devices, edging closer to Amazon’s Alexa lead. Plus, the hardware bonanza Google announced this Fall (October 2017) means the gains will really start to take hold in 2018. Gartner’s top 10 technology trends for 2018 just came out, and one major direction of development will be in the area of intelligent apps and analytics. It’s true: AI developers are busy disrupting every industry and healthcare is no exception. However, many of the advances in this industry have been mainly at the administrative level, improving how records are stored, accessed, and analyzed, for example. But 2018 shows promise for developments that directly affect patients, too. AI will take the form of virtual assistants that act as nurses. Called ‘Virtual Nurses’, they cover a range of important medical services. An expert from PC Mag believes one way Gartner’s predictions will manifest will be a transformation in the way the discharge process takes place in hospitals. Some virtual nurses are specifically designed for this purpose, making it a less cumbersome process for patients to get checked out and be on their way home. Research by Boston University showed that patients who interacted with a virtual nurse were less likely to have to be readmitted to the hospital or visit the ER after discharge. Then there are the ‘virtual nurses’ who interact with patients on a daily basis, asking them to check in once a day on their smartphones. One of these is Sense.ly, which raised $8 million in 2017. Keep an eye on this company, which provides the main reason 2018 should bring some exciting developments in this area. 2018 promises to be the year of the commuter drone. A Swiss company called PassengerDrone has recently reported that they will launch their two-seater product in 2018. It’s capable of flying at speeds up to 80 km/h and contains over a dozen different engines, each separately powered. It’s still a bit pricey for the average consumer but this is one development for 2018 that’s sure to capture the attention of everyone. There’s still a long way to go for drones, even those that just deliver packages — let alone people. But the adoption of technology begins in the mind when companies like PassengerDrone show us what’s truly possible. All it takes is a spark and 2018 certainly looks as if it’s going to deliver a few. Like smart homes, self-driving cars are very much on the radar for 2018. But anything transportation-related is going to have to jump through a complex maze of governmental safety hurdles. Consumers can’t realistically expect to be shopping for a self-driving car yet, but anyone who’s watching this can still get excited about 2018. We can still say 2018 is looking to be the year of the smart car thanks to some recent legislation that passed in the United States. Called the SELF DRIVE Act, this federal bill calls for federal oversight of the autonomous vehicle industry. What it does is pave the way for more companies to more easily test their smart cars on American roads. The legislation was passed just as car fatalities experienced a spike in 2016 in the U.S., so many believe it’s high time for smart cars to begin taking over the increasingly prevalent distracted drivers on the roads. Distracted driving is becoming such a safety problem that we’re bound to see more smart car developments in 2018. One involves technology that can sense when a driver is texting, for example. Look for more emerging solutions to this growing problem in the coming year. As public awareness of texting dangers spreads, offering up the self-driving car may as a solution could ingratiate the autonomous car technology to a whole new segment— one whose purchasing power is matched by few other consumer groups. We’re talking about parents, of course, who fear for the safety of their children. If parental pressure about distracted driving can come anywhere near the level it was at in the 1980’s when awareness of drunk driving first hit critical mass, then it’s looking pretty good for mass appeal of self-driving cars. This, combined with increasing prevalence on the road of test prototypes thanks to the SELF DRIVE act, may just make 2018 the year that self-driving cars enter the minds of mainstream consumers in full force. From the tiniest of electronic gadgets to an entire smart home to the world’s highways and byways, the outlook for consumer electronics in 2018 offers something exciting for everyone. Only time will tell which of these tech trends completely takes the world by storm, but there’s a good chance most, if not all of them will make a serious impact on the way we live in 2018 and beyond.